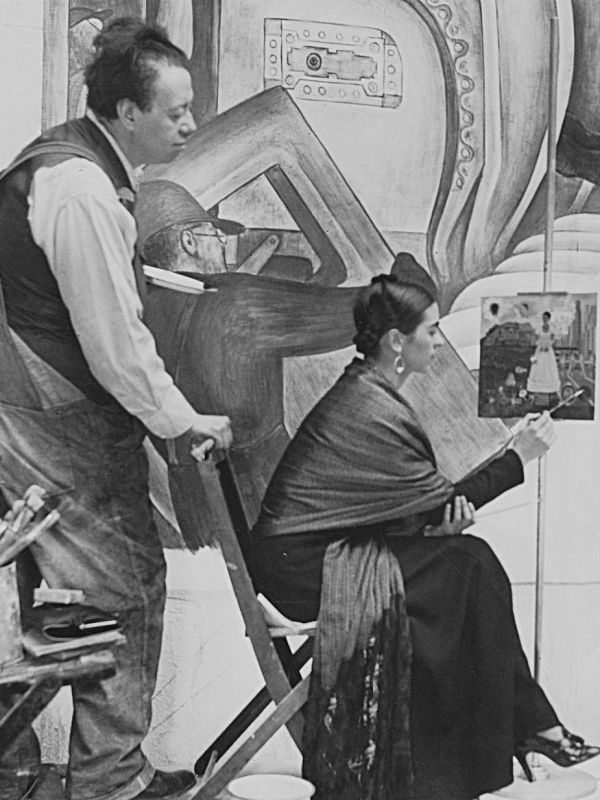 The Detroit Institute of Arts exhibition will explore the tumultuous and highly productive year that Mexican artists Diego Rivera and Frida Kahlo spent in Detroit, a pivotal turning point in each artist's career. 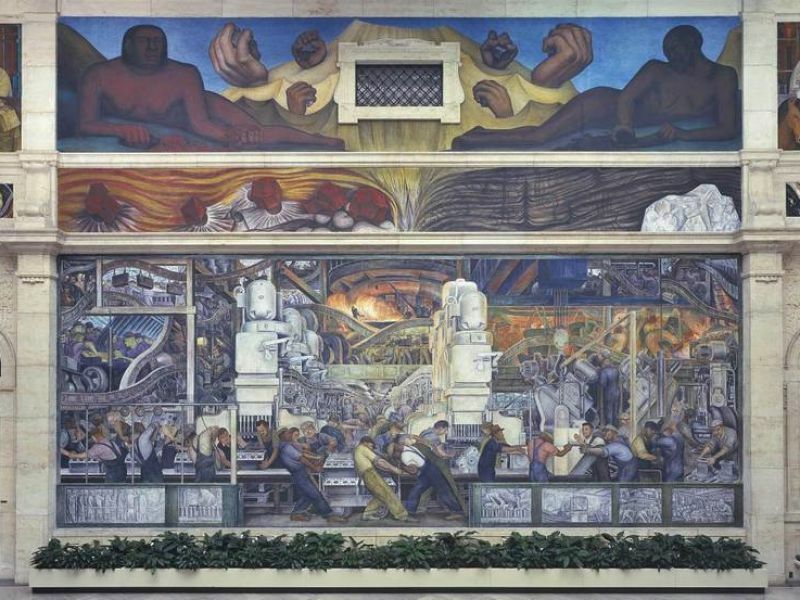 Between April 1932 and March 1933, Rivera created one of his most accomplished mural cycles—Detroit Industry—on the four walls of a centrally located courtyard at the DIA. At the same time and largely unnoticed, Kahlo developed her now-celebrated artistic identity. By including works before, during and after their time in Detroit, the exhibition also looks at the evolution of each artist’s career, a subject that has never been fully studied in an exhibition or catalogue. Rivera’s epic preparatory drawings for Detroit Industry will be the centerpiece of the exhibition. Not shown in almost 30 years, these magnificent works demonstrate Rivera’s sweeping narrative ambition, envisioned as a synthesis between Mexico’s spiritual values and United States industrial might. Most of the works Kahlo created in Detroit will be shown for the first time in this city and will reveal the emergence of Kahlo’s shockingly personal, self-revelatory art style. 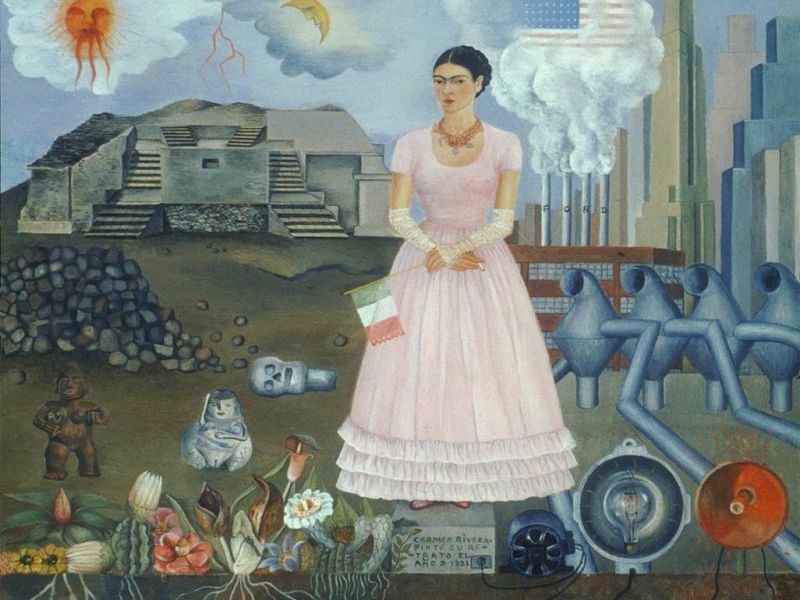 Rivera and Kahlo had contrasting approaches to the confluence of Mexican and United States concerns, as seen in Rivera’s drawings and Kahlo’s Self Portrait at the Borderline (Private Collection, Mexico City). A confluence of dramatic energy and ideas existed between Rivera’s grand conception and Kahlo’s tortured personal testimonies. They were both fascinated with the enterprises of Henry Ford. 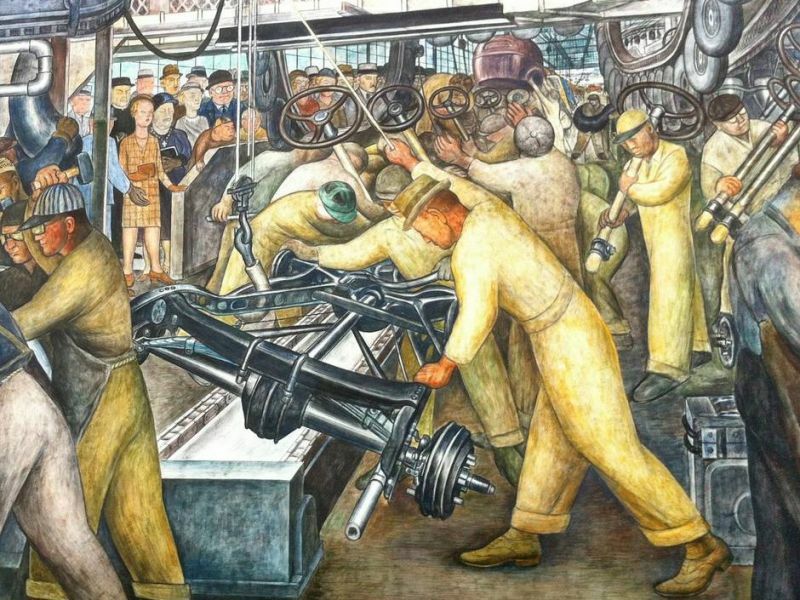 Ford Motor Company’s then state-of-the-art River Rouge plant is the subject of Rivera’s Detroit Industry frescos, and one of Kahlo’s most poignant paintings, Henry Ford Hospital (Museo Olmedo, Mexico City). 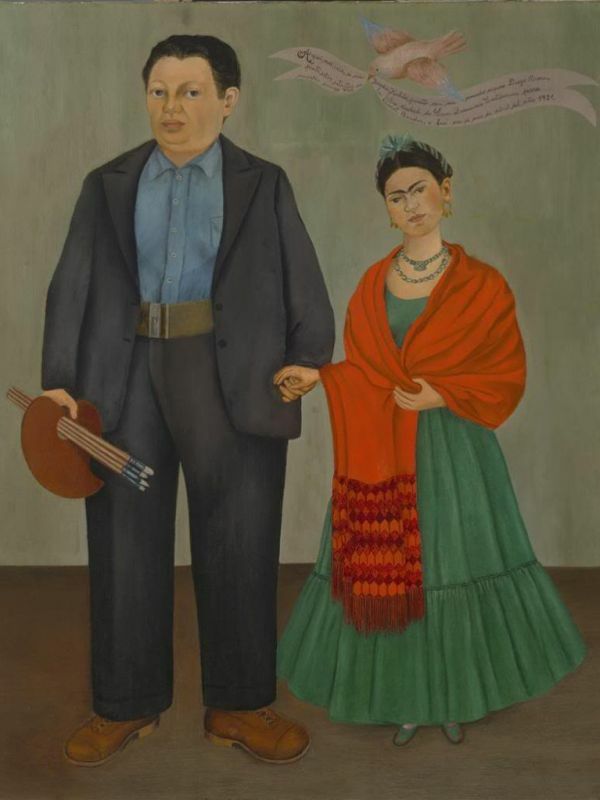 The period prior to Rivera and Kahlo’s time in Detroit will be anchored by the loan of Kahlo’s great double portrait of the newlywed couple (San Francisco Museum of Modern Art) and Rivera’s ravishing Flowered Barge (Museo Olmedo, Mexico City) that reveals his adoration of Mexican life. 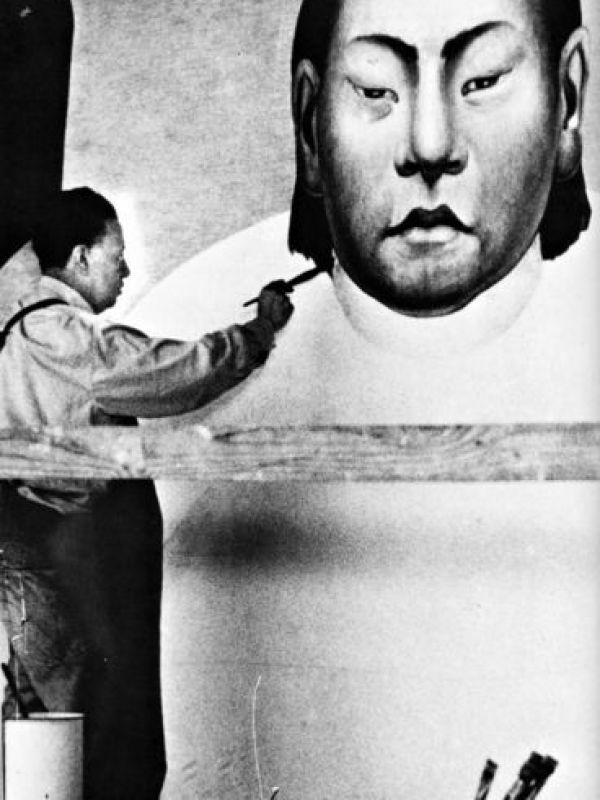 Among works in the post Detroit section are Kahlo’s Self Portrait with Cropped Hair (Museum of Modern Art), and Self Portrait with Small Monkey (Robert Brady Museum, Cuernavaca), paintings in which her face became the centerpiece of her imagery. Huffington Post article: "How Frida Kahlo's Miscarriage Put Her On The Path To Becoming An Iconic Artist"